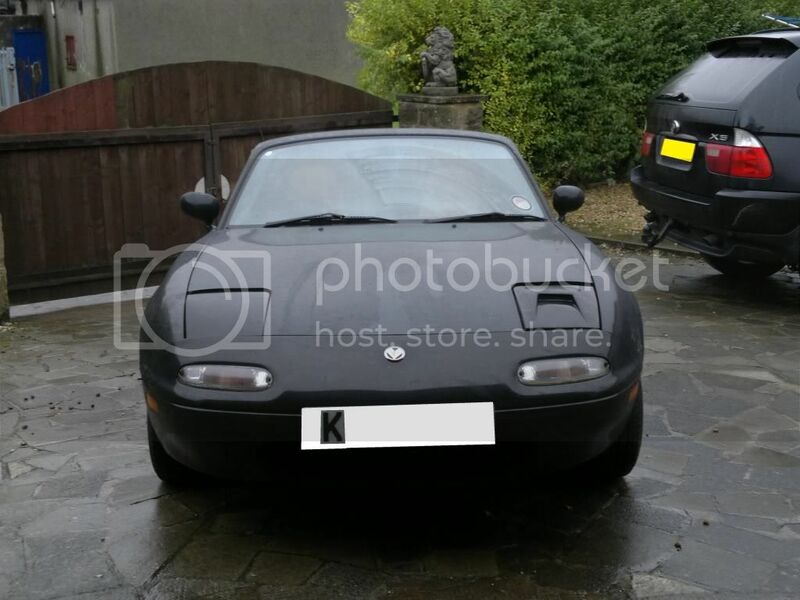 Thought i'd start off my build thread with some photos of my MX5 donor. The photos dont quite do justice to the imaculate bodywork of this car (with exception to a bit rust on the drivers wing) seems a shame to break it up. Engine and gearbox seem solid. 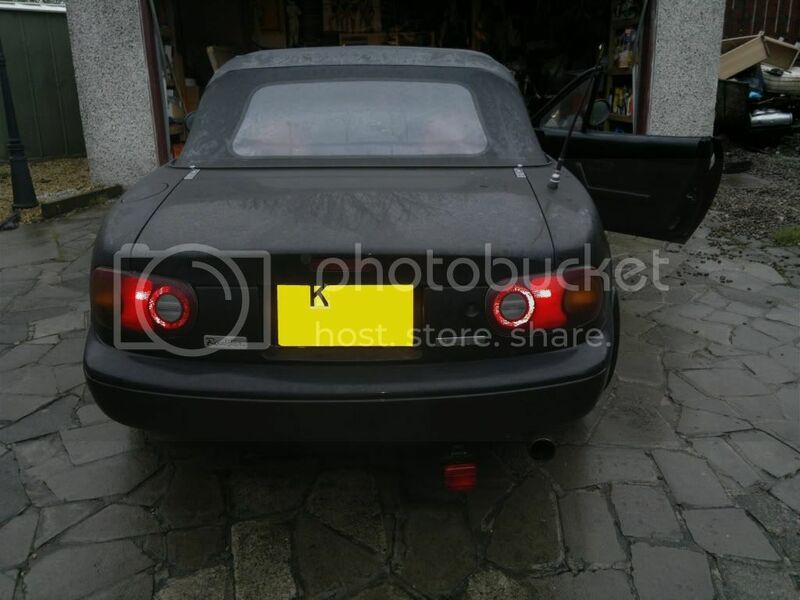 [quote=MoysieWRX;69370]The photos dont quite do justice to the imaculate bodywork of this car (with exception to a bit rust on the drivers wing) seems a shame to break it up. 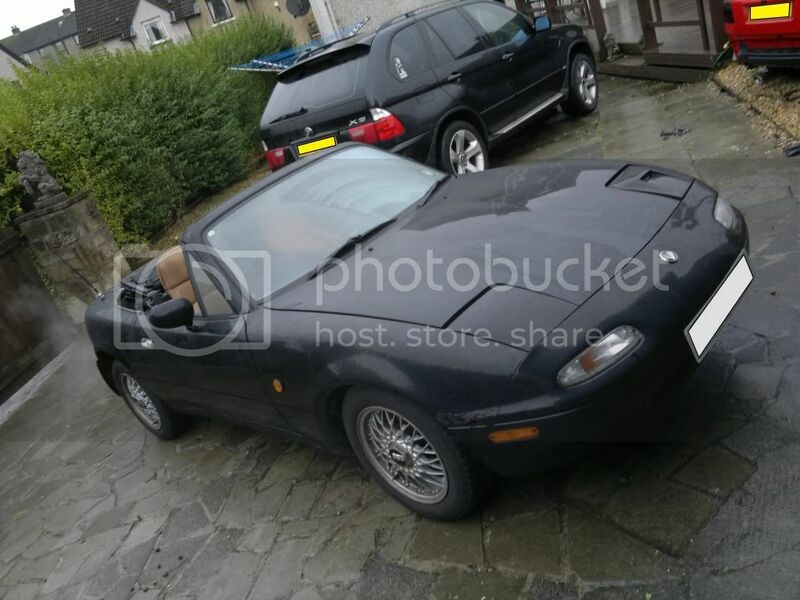 Would need to mess aroung getting insurance and road tax aswell,would it really be worth the hastle me putting it on the road for a few months. In two minds whether to put it on the road just now or strip off the parts i dont need and sell them to get some of my money back. Would like to buy a new welder for the project, at the minute i have a portable 130A Gasless mig. Hi, and welcome. 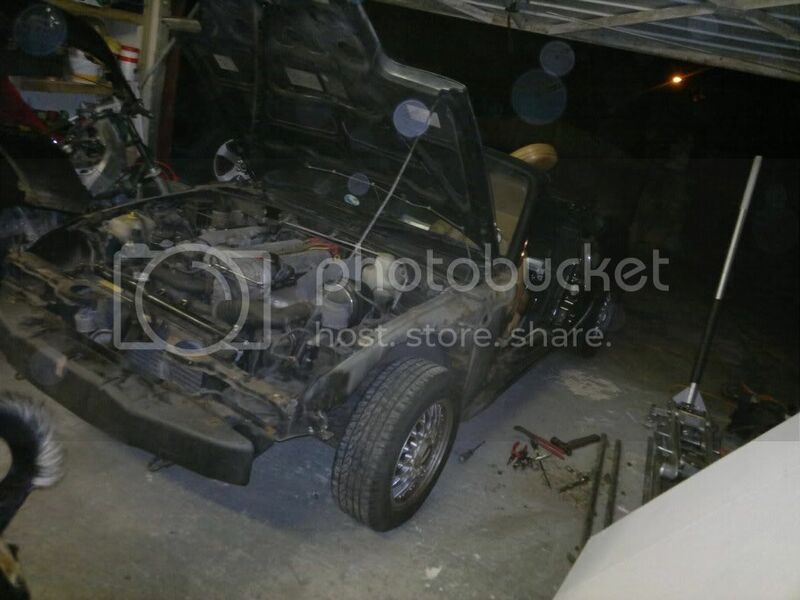 Look forward to seeing how your build comes along, im also in the process of doing a MX5 based car. Put it on the road and enjoy it for a few months..
Havn't posted in the last week or so, quick update. Still have not started the build yet been getting quotes on the steel etc. Although i first thought i would put the donor back on the road for a few months till i need parts from it, i decided that i would just strip it and sell the parts. Had it advertised for breaking for around 5 days in various places and had looooooads of intrest. Sold some of the parts and got £600 in sales so far so making profit and still have the parts i need BONUS . Loads of parts still to sell. 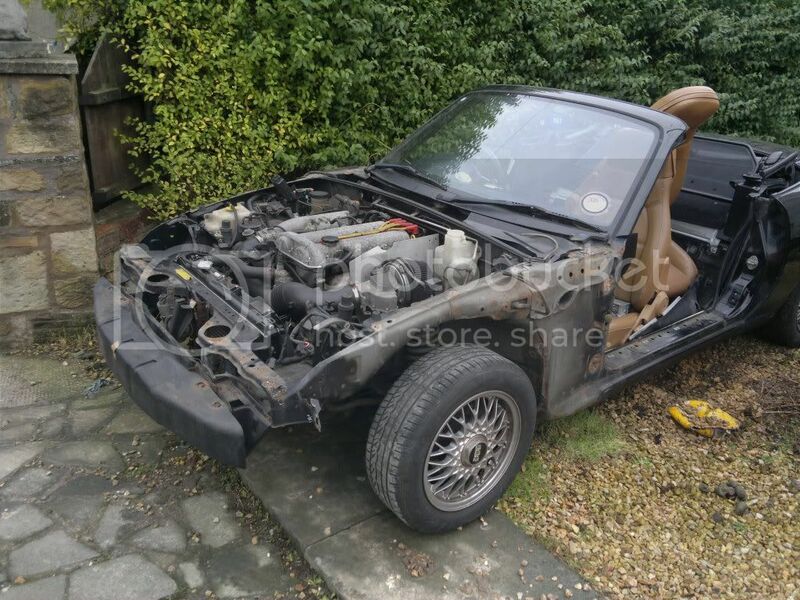 Someone has paid a deposit for the bare chassis (minus V5 + VIN) so im currently consentrating on stripping the car for the guy to take the chassis (the guy is not too fussy about when he gets it, within reason obv) and for me to sell all the unwanted parts and free up more space. 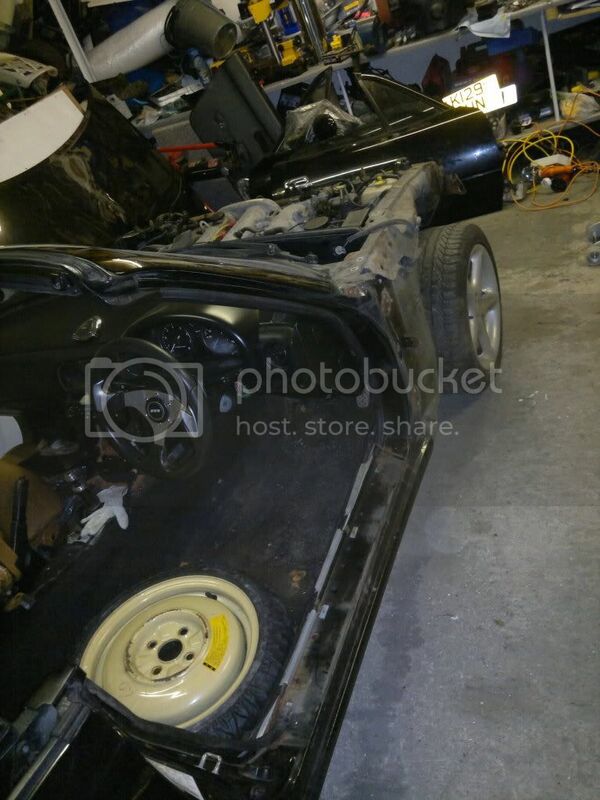 Will probably order some steel next week although wont be able to start building the chassis straight away due to stripping the car and going to Paris a week on wed. 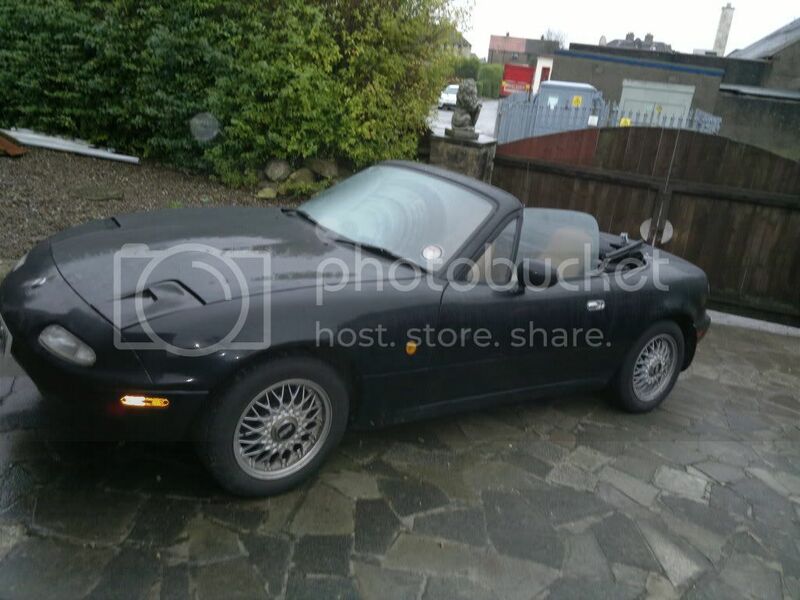 Hoping to get started building the chassis around Mid Feb, its taking a little while to strip the MX5 with working long shifts during the week, only having around an hour and half to two hours each night split between stripping the car, selling parts and then reply to emails for parts when go back into house. Last edited by MoysieWRX : 14th January 2012 at 08:51 PM. Donor car Body now fully stripped sitting on Axle stands above the running gear etc. Ready to be collected by the buyer on sunday. Should then be able wheel the running gear out to the side of the garage to clear some space to get my build table constructed. Will need to order my steel very soon.